Home / Sport / How are you going to make the most of your AFL Grand Final long weekend? What more is there to love about the Grand Final long weekend? That time of the year has come, the AFL Grand Final three-day weekend. The AFL Grand Final Eve Public Holiday  was introduced in Victoria in 2015 as a day to celebrate with the players at the traditional Grand Final Parade on the Friday before the big match. Eating a Four ‘N Twenty meat pie with tomato sauce and enjoying a couple of beers, with family and friends at a barbeque to celebrate the footy match. We all know that the AFL Grand Final is one of the major events in Australia’s sporting history. It’s no surprise that most Aussies participate in this event whether they are fanatic AFL followers or don’t follow Aussie Rules football at all. If you’re lucky enough to get tickets, you’ll be watching it at the famous MCG. If you’re not so lucky you can follow the game on your home TV, or on a giant TV at a local bar or pub. As the grand final weekend is fast approaching, ‘what plans do you have for the AFL Grand Final weekend?’ There are plenty of events and activities to participate in with your friends and family. 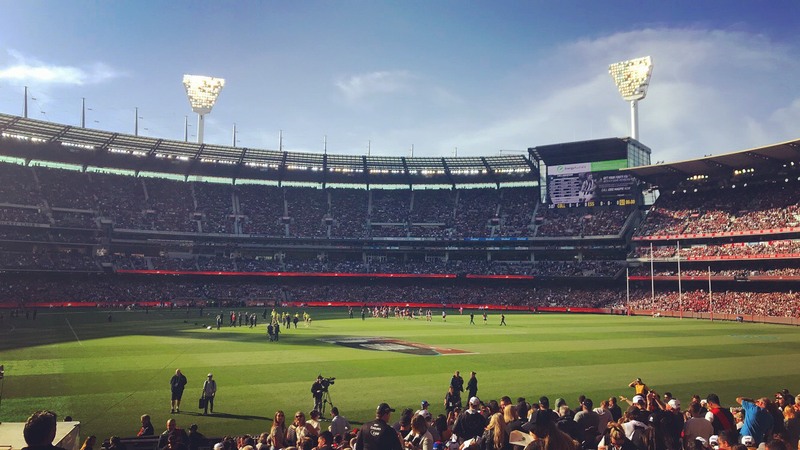 If you are a fanatic AFL enthusiast there are quite a few AFL events are happening across Melbourne both on Friday the 28th September and Saturday the 29th of September. There are also various bars and pubs across the inner suburbs of Melbourne and the CBD that are hosting AFL Grand Final Celebrations. 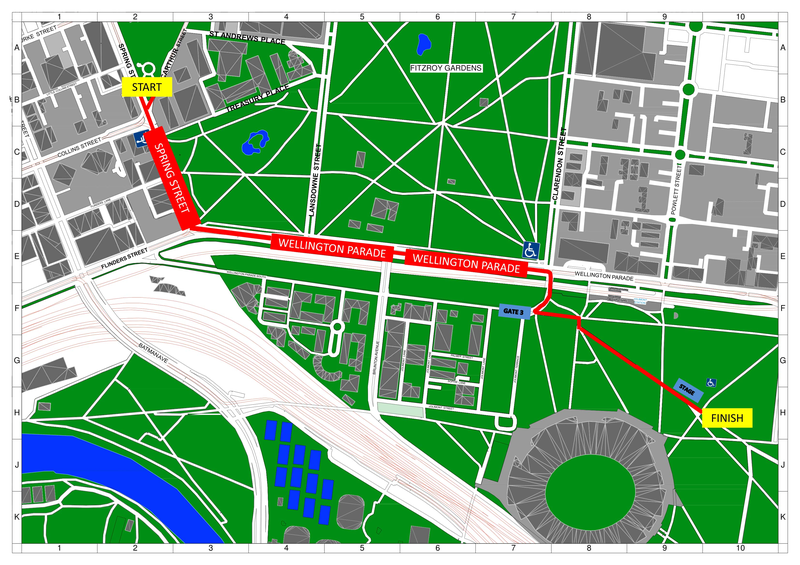 On Friday 28 September, starting at 12 noon, marching bands and roaming entertainers will join the procession of Toyota HiLuxes parading the Grand Final teams from the Old Treasury Building to the Toyota AFL Grand Final location at Yarra Park at the MCG. After the Grand Final parade, fans are able to experience the Melbourne Footy Festival at Yarra Park. Before cheering on your favourite AFL football team, come and join some VIPS, celebrities, politicians and sports fans for a morning of great entertainment with special insights into the upcoming footy match from media experts and coaches. The Grand Final breakfast is being held at Plenary Hall, Melbourne Convention Centre which begins at 8:00am until 10:30am. After the AFL Grand Final match is played, Jimmy Barnes is playing live for hour and a half to a couple of hours starting at 7pm. Entry is free. A small tip for you, queue up an hour early if you would like to get a decent spot to watch Barnesy’s live music gig playing at the MCG! Celebrate the 2018 AFL Footy match with some friends, a few beverages and nibbles! Garden Grill Pre-Match Brunch – A delicious three course shared meal with a complimentary drink on arrival for $80 per person. Lunch at the Observatory on Level 2 – this includes a 3-course meal and unlimited drinks from 1:30pm until the final siren. The game will be live with commentary on all screens in the Observatory. This option is $170 per person. Public Bar and Beer Garden – Watch the AFL Grand Final on the huge TV screens and cheer on the two AFL teams who are playing. The doors open at 10am on Saturday September 29. To soak up the outdoors with some arvo beverages and nibbles along the Yarra. To enjoy some AFL entertainment with a frothy beer or two in the heart of Melbourne’s Federation Square. The Corner Hotel will be open from 11am on the Grand Final Eve public holiday for a party including a rooftop barbecue, a meat tray raffle and a good atmosphere. In the pub’s front bar, there will also be music played by local DJs once the sun goes down. pre-game breakfast or lunch topped off with some AFL action. The Pre-game breakfast is $80 per person from 8:30am – 11:30am on Saturday 29 September. Another great family-friendly event for the spring time! The Tesselaar Tulip Festival is a miniature version of the Netherlands with tulip bulbs blossoming amongst the wonderful spring sunshine in Silvan. The festival also provides live entertainment, market stalls, food offerings and themed weekend celebrations including the Turkish, Irish and Dutch weekends. This year’s festival is themed around ‘Tulips in Wonderland’ which is in line with Lewis Carroll’s classic story. A cherry blossom festival, say no more! – The Cherry Hill orchard in Yarra Valley is opening their farm gates which begins on Wednesday 26th September until Tuesday 2nd October. You will get to see rows of cherry trees in full blooming, accompanied with tasting the orchard’s cherry beverages. You can also enjoy food from the farm gate café and food truck after you stroll through the Cherry Hill orchards for the perfect photo opportunity. Spend your long weekend exploring the Museum of Modern Art (MoMA) exhibition, located on the ground floor of the NGV International in two parts. Melbourne is currently the (temporary) home of masterpieces by Salvador Dalí, Henri Matisse, Pablo Picasso, Andy Warhol, Vincent van Gogh and Frida Kahlo just to name a few artists. These artworks are from New York’s Museum of Modern Art (MoMA) on loan. Many of these works have never been seen in Australia before, and the exhibition is exclusive to Melbourne. Melbourne is currently the (momentary) home of masterpieces by Salvador Dalí, Henri Matisse, Pablo Picasso, Andy Warhol, Vincent van Gogh and Frida Kahlo…the list goes on. “Curiouser and curiouser!” Spend your long weekend immersing yourself down inside the famous rabbit hole into the latest world premiere Wonderland exhibition, located at the ACMI museum running until October 7. Wonderland discovers how Alice inspired revolutionary cinematography, from leading-edge special effects and animation to reminiscent storytelling and technological development. You can also take an adventure where you can peek through the looking glass which takes an enchanted Wonderland from page to screen. 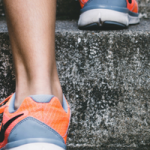 A wise activity to beat the typical crowds and make a day of it whilst most Melburnians celebrate the AFL Grand Final with a spot of shopping until you drop! There is lots of information, so the choice is yours – soak up the atmosphere and immerse yourself in what Melbourne has to offer. Enjoy the long weekend and make the most of it! Public Holidays Global. 2018. AFL Grand Final Friday 2018. [ONLINE] Available at: https://publicholidays.com.au/afl-grand-final-holiday/. [Accessed 14 September 2018]. Huffington Post, Anthony Sharwood. 2017. Melburnians Aren’t Big Fans Of The AFL Grand Final Eve Public Holiday. [ONLINE] Available at: https://www.huffingtonpost.com.au/2017/09/17/melburnians-arent-big-fans-of-the-afl-grand-final-eve-public-holiday_a_23212773/. [Accessed 14 September 2018]. City Of Melbourne. 2017. What’s on in the city for the AFL long weekend. [ONLINE] Available at: https://whatsonblog.melbourne.vic.gov.au/afl-long-weekend/. [Accessed 14 September 2018]. Timeout Melbourne. 2018. AFL Grand Final Parade. [ONLINE] Available at: https://www.timeout.com/melbourne/things-to-do/afl-grand-final-parade. [Accessed 14 September 2018]. Only Melbourne. 2018. Grand Final Friday & Parade. [ONLINE] Available at: https://www.onlymelbourne.com.au/grand-final-friday-public-holiday#.W6HQ6BMzZuV. [Accessed 14 September 2018]. Timeout Melbourne. 2018. AFL Footy Festival. [ONLINE] Available at: https://www.timeout.com/melbourne/things-to-do/afl-footy-festival. [Accessed 14 September 2018]. North Melbourne Football Club. 2018. Guide to the Mazda North Melbourne Grand Final Breakfast. [ONLINE] Available at: http://www.nmfc.com.au/corporate1/hidden-channels/signature-events/mazda-north-melbourne-grand-final-breakfast. [Accessed 14 September 2018]. AFL. 2018. 2018 AFL Toyota Finals Series. [ONLINE] Available at: http://www.afl.com.au/finals/events. [Accessed 14 September 2018]. The Urban List Melbourne, Chelsey Johnston. 2018. Everything Open this Grand Final Weekend. [ONLINE] Available at: https://www.theurbanlist.com/melbourne/a-list/whats-open-grand-final-weekend-melbourne. [Accessed 14 September 2018]. The Urban List Melbourne, Ben Tyers. 2017. 12 Pubs to Watch This Year’s Grand Final At In Melbourne. [ONLINE] Available at: https://www.theurbanlist.com/melbourne/a-list/where-to-watch-the-grand-final-2017. [Accessed 14 September 2018]. Timeout Melbourne, Fred Siggins. 2016. Beer Deluxe. [ONLINE] Available at: https://www.timeout.com/melbourne/bars/beer-deluxe-melbourne. [Accessed 14 September 2018]. Timeout Melbourne, Delima Shanti. 2017. The Corner Hotel. [ONLINE] Available at: https://www.timeout.com/melbourne/bars/the-corner-hotel. [Accessed 14 September 2018]. Timeout Melbourne. 2013. Richmond Club Hotel. [ONLINE] Available at: https://www.timeout.com/melbourne/bars/richmond-club-hotel. [Accessed 14 September 2018]. Timeout Melbourne. 2018. Tesselaar Tulip Festival. [ONLINE] Available at: https://www.timeout.com/melbourne/things-to-do/tesselaar-tulip-festival. [Accessed 14 September 2018]. Timeout Melbourne. 2018. Cherry Hill Blossom Festival. [ONLINE] Available at: https://www.timeout.com/melbourne/things-to-do/cherry-hill-blossom-festival. [Accessed 14 September 2018]. Timeout Melbourne, Rose Johnstone. 2018. MoMA at NGV: 130 Years of Modern and Contemporary Art. [ONLINE] Available at: https://www.timeout.com/melbourne/art/moma-at-ngv-130-years-of-modern-and-contemporary-art. [Accessed 14 September 2018]. Timeout Melbourne, Rose Johnstone. 2018. Wonderland. [ONLINE] Available at: https://www.timeout.com/melbourne/museums/wonderland. [Accessed 19 September 2018]. Alice-in-Wonderland.net. 1997. Alice in Wonderland quotes. [ONLINE] Available at: http://www.alice-in-wonderland.net/resources/chapters-script/alice-in-wonderland-quotes/. [Accessed 19 September 2018]. The Urban List Melbourne, Megan Whitfield. 2018. Melbourne’s Getting An Alice In Wonderland Exhibition This Week. [ONLINE] Available at: https://www.theurbanlist.com/melbourne/a-list/wonderland-exhibition-acmi. [Accessed 19 September 2018]. Emporium Melbourne. 2018. Emporium Melbourne. [ONLINE] Available at: https://www.emporiummelbourne.com.au/. [Accessed 17 September 2018]. Melbourne Central. 2018. Melbourne Central. [ONLINE] Available at: https://www.melbournecentral.com.au/home. [Accessed 17 September 2018]. Chadstone The Fashion Capital. 2018. Chadstone Shopping Centre. [ONLINE] Available at: https://www.chadstone.com.au/. [Accessed 17 September 2018]. Westfield Shopping. 2018. Westfield Doncaster Shoppingtown. [ONLINE] Available at: https://www.westfield.com.au/doncaster. [Accessed 17 September 2018]. Eastland. 2018. Eastland Shopping Centre. [ONLINE] Available at: https://www.eastland.com.au/. [Accessed 17 September 2018].